With potential culpability for deaths of employees, Benoît Battistelli is in hot legal water, but there is nobody to actually enforce the law against him at Eponia. Recognising the agonising working conditions at the EPO, CERN recently weighed in on numerous occasions. These are world-leading scientists who blasted Battistelli and SUEPO has just published yet another letter (this time in French) from CERN. Will CERN’s concern be enough to compel Battistelli to resign before the next death? His regime has already cost many people (and families) their lives and it cannot go on like this. Well, technically it can because Battistelli feels elated and above the law. In fact, judging by this tweet (linking to this “news” item at epo.org), the EPO is now becoming more like North Korea, with Battistelli as its “Dear Leader”. Congratulations to Battistelli for turning Europe’s finest institution into Europe’s shame and the subject of scorn from all across the world. He has killed EPO’s reputation, which took almost half a century to earn. Soon there won’t be applicants and renewals either. The EPO and its staff now live in borrowed time, exploiting what’s left of the inertia and the backlog. Mass layoffs are already a growing concern, hence job insecurity (it’s hard for former EPO staff to find a job in their discipline after a long EPO career). Well, will they add safety (suicide) nets maybe? Just like in China? Would they help mask the issue? “The safeguarding of staff, visitors and business is of paramount importance to the EPO,” the EPO wrote. Is that why EPO management drove people to suicide, having legally bullied them and did them extreme injustice? Words cannot express how disgusting that “news” item from the EPO truly is. What next? Will they build something like a Berlin wall around the Isar facilities, in order to prevent people from getting out? In 2002, the EC proposed a “directive on the patentability of computer-implemented inventions.” It claimed back then and throughout the years of the legislative process (which ended when the bill got thrown out by the European Parliament in 2005, which is exactly what I had been campaigning for) that patents on “computer-implemented inventions” weren’t software patents. The examples that the supporters of the proposal gave all the time were about computer-controlled washing machines, automated braking systems, and airplanes. They said that the whole plan was only to ensure that innovations in those fields could be patented but software patents? No, they said that our movement was totally wrong since software “as such” was going to be excluded. It was nothing but a damn lie. A damn lie propagated by the Commission, by the equally-mendacious national governments of the EU member states, large corporations (also including their industry bodies, of course), the European Patent Office (with respect to its credibility, let me just refer you to Dr. Roy Schestowitz’s great work concerning what is going on there), and patent attorneys in private practice. What frustrated us the most was not even that those who directly or indirectly stood to gain from software patents were dishonest. That was very bad for sure, but the worst part was that news agencies and the general press kept propagating those lies–not merely in the form of quotes but in ways that portrayed the Commission position as the truth and our position as an opposing view by “open source” people. And when we talked to them, they often just referred us to what the European Commission was saying–no matter how much of a lie it was. Last year, the IPKat blog dismantled the Commission’s ridiculous propaganda for its unitary patent package (including the Unified Patent Court). Then the Commission pulled its statement, almost certainly due to the IPKat’s competent criticism. “I believe the IPKat article was about a different document but not sure,” Müller responded. Skipping the hogwash and the nonsense that Battistelli paid for dearly (not from his own pocket but the EPO’s), let’s look at what insiders and outsiders (like attorneys around Munich) say about the latest terrible exodus, which impacts a lot of people, not just a handful. As if the main question is whether or not the Boards of Appeal will have a lift (elevator) at the building and the nearby public transportation station. What a distraction from the bigger problem. “True gentlemen are not so easily bought,” noted one person, alluding to delegates whom Battistelli is unable to ‘buy’ (he typically targets corruptible nations whose votes are cheaper to 'buy'). That was a “gentlemen’s agreement”. But for such an agreement you need to have gentlemen and they seem to be in short supply in the current ranks of the AC. True gentlemen are not so easily bought. As I already posted in a comment which hasn’t appeared, that was a “gentlemen’s agreement”. For a gentlemen’s agreement you need to have gentlemen and they now seem to be in short supply. True gentlemen are guided by principles not expediency. Because the 'Mafioso' in chief (or Don), Battistelli, wants nobody but himself left with any power or independence, it seems clear that there’s no room for “gentlemen” anymore. Not even an Irish judge. “We are offering a limited number of one‑month internships with our boards of appeal,” the EPO wrote today. And no full-time jobs? After years of the boards being seriously understaffed? We wrote about this before. Therein lie the truly alarming developments. The crushing of the boards is an ongoing process and the relocation (exile) to Haar is just one among several methods, such as price hikes that discourage appeals. Battistelli’s ‘bulldog’ used similar tactics in Croatia, in order to render people whom he feared redundant and shut them out. If the big ones complain about being outvoted by the small countries, why did neither UK, FR,… request a weighted vote? Now they are complicit too. Referring to “we voted no and lost” is not sufficient anymore! A plethora of other comments continues to appear in a month-old two-part series from Merpel, who has not mentioned the EPO since. …as far as I know, the case of the suspended BoA member was not put on the agenda (which is proposed by the President of the Office). Possibly they discussed it behind closed doors, but I assume not. Poor guy, I’ll be very interested to see what ILO-AT has to say about this case, once it gets there…. When are decisions about Battistelli’s abuses to be made? When will they discuss him grossly defying orders? Is that off the chapters/script now? All they have accomplished is growing uncertainty for the boards. Despicable! Since a vacuum is now (at least temporarily) left in administration of the boards we suppose Battistelli can step in and make more of a mess of them, having recently lowered (reportedly halved) the salary of the judge whom he had illegally suspended more than 2 years ago. Never mind the fact that ILO recently confirmed that legal proceedings at the EPO are mock trials and have been so for years? In response, EPO staff again asked the Administrative Council – which is the only body that can limit the president’s powers – to take action against Battistelli. It, again, failed to do so. Not only but that it also approved the latest proposal put forward by Battistelli to move the EPO’s Boards of Appeal (BoA) away from the EPO headquarters in Munich to a new building in the outskirts of the city, and it handed Battistelli effective control of the appeals committee until June next year. There is some consternation over the BoA move, which some see as just the latest effort by Battistelli to undermine and downplay the independent body. Regardless, the decision to move the BoA to Haar passed by 21 votes to seven, with another seven countries abstaining. Commentators have noted that the nations that voted in favor are the same ones that repeatedly block efforts to admonish or fire Battistelli. Most represent Europe’s smaller economies. While Battistelli has the votes to continue to pass reforms that put him into a more powerful position, his self-aggrandizement and the public criticism leveled at him for waging an internal campaign against those that resist his reforms has not gone unnoticed. As vice president of the EPO’s general operations arm, Minnoye has repeatedly defended the disciplinary proceedings taken against five staff union members and, staff say, is representative of the bullying culture that has taken over the organization. Minnoye most famously said that the EPO would simply ignore a decision against it by the Dutch Supreme Court on whether the EPO was violating its employees’ fundamental rights in how it was conducting internal investigations. As well as losing Minnoye, Battistelli was dealt a second political blow when Swede was elected as president of the Boards of Appeal. Despite these small challenges to Battistelli’s authority however, it is clear despite the very public criticisms of his behavior and repeated staff protests and strikes that the EPO Administrative Council will not be taking any direct action against him. Looking at some comments in The Register, one person wrote: “Surely the best way to “limit the tendencies” of an unmitigated thug like Battistelli would be to sack him. 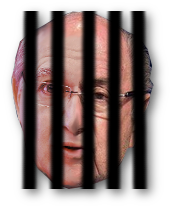 “He [Battistelli] should be in prison,” another person replied. Well, people have been sent to prison by the millions for much lesser offences, some of which if not the majority of which victimless. “Italy knows how to deal with Dictators,” said a third person. We already heard some suggestions that Britain should demand relocation of the boards to Britain, where staff’s rights might be better guarded and Britain’s participation in the EPO can grow (recruitment of Brits by the EPO is down 80%). Is there any reason for smaller economies to protect Battistelli? This seems a bit like Sepp Blatter remaining President of Fifa for so long because the smaller Fifa nations didn’t want to oust him. In that case it was because Blatter kept the gravy flowing to them. What I can’t work out is what motivation small European economies have to keep Battistelli, this is just a Patent Office – does he provide smaller nations with something that they are worried will be stopped if he is removed? That last question would be a rhetorical one for EPO insiders. 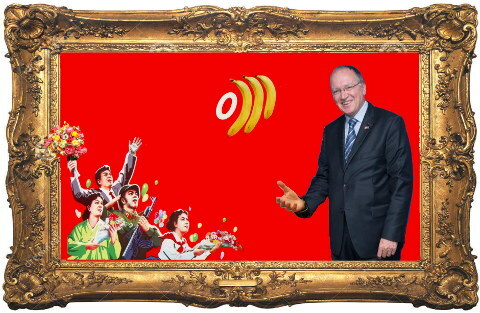 More than once we saw how Battistelli uses EPO/EU budget as “carrots”. 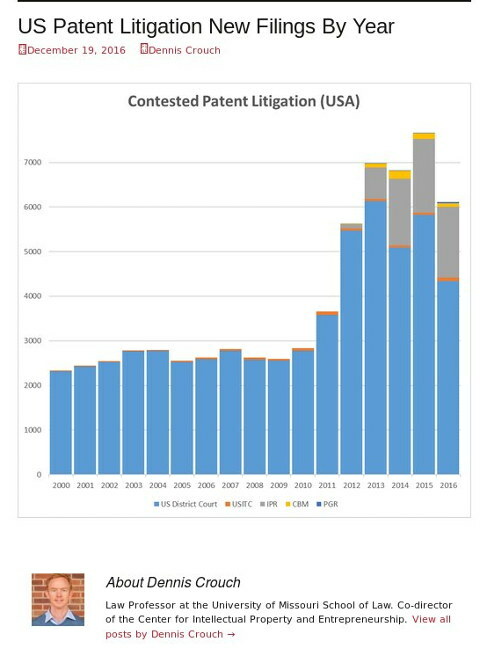 LITIGATION with USPTO patents is down. It is down pretty sharply and this gives ample room for hope. But it does not, however, mean we should take our eyes off the ball. What’s noteworthy here is the presence of a computer system. We previously wrote about a similar case at the EPO appeal boards (computer conjoined with “medical” and “device” so as to make it look/sound non-abstract and novel). Right now in Europe it’s said to be easier to get (and defend) software patents than it is in the post-Alice US. The judge in the above case, P. Corcoran, thankfully rejected the application. No wonder Battistelli hates the appeal boards so much and strives to destroy them (while still maintaining the appearance or perception he complies with the EPC). In other news from around the Web, there are formal/procedural changes emanating from CAFC decisions. “A recent decision from the Federal Circuit recognises a privilege between non-attorneys patent-agents and their clients under certain conditions,” says MIP. “Philippe Signore reviews the limits of this patent agent privilege, as well as those of the attorney-client privilege, within the context of the discovery phase of a US litigation,” continues the summary, but the article is behind a paywall. These are of course software patents, so one has to wonder if the USPTO dealt with old applications as though the new rules (Section 101 and whatnot) don’t apply. Of course not, but something is rotten here and it’s very improbable that a high court would accept these patents upon closer examination. After Alice it barely matters if the USPTO puts some stamp on this stuff; courts and appeal boards would likely undo the stamp (it asked/petitioned to do so). So what is Samesurf bragging about really? Section 101 patentability challenges of the 1970’s, in Benson and Flook, culminated in the Diamond v. Diehr decision of 1981, and the roughly contemporaneous Chakrabarty decision of 1980, set out an admirably broad ambit for patentability on the advent of the digital and biotechnological revolutions that have transformed our world these last 35 years. Coming as they did at the foundation of the Federal Circuit, these decisions reinforced a view that the US patent system was capable of broadly encompassing “anything under the sun that is made by man,” the Chakrabarty Court quoting the Senate Committee report on the 1952 Patent Act. 101. Inventions patentable. Whoever invents or discovers any new and useful process, machine, manufacture, or composition of matter, or any new and useful improvement thereof, may obtain a patent therefor, subject to the conditions and requirements of this title. For purposes of this section, it is irrelevant whether the invention or any of its claimed elements, is otherwise unpatentable under sections 102, 103 or 112. I believe something this simple, or its equivalent, accompanied by clear legislative history, could help undo so much of the new troubling jurisprudence that imports these other conditions of patentability at the outset, and restore 101 to the minimal, simple threshold for inventions of the useful arts to which it was always intended. The patent microcosm is trying to change the law and even the former Director of the USPTO was recruited for this task. They just want more and more patents on everything and lower quality control, obviously. Watch who’s in the news again after a rename, which is a common practice among notorious patent trolls that are a front for someone else (usually a large company). It’s Ericsson’s patent troll that already operates in Europe (London) as well, thanks to the EPO which repeats the USPTO‘s errors. Conversant is the new name of MOSAID, which Microsoft passed many of Nokia‘s patents to. We also wrote a great deal about Unwired Planet, back when it was known as Openwave. “Openwave has changed its name to Unwired Planet,” as Wikipedia puts it. Whether it’s Microsoft’s link-up with Xiaomi or Huawei’s surprising partnership with InterDigital, licensing deals with value-added components were the major theme of 2016. InterDigital is an anti-Android troll (we have many articles about that) and Xiaomi did not have a “link-up” with Microsoft. It was more like patent extortion, as we explained at the time. THE chart above, produced and published without comment by Patently-O earlier today, helps confirm that litigation was (still is) down sharply this year. Good news for everyone but the patent microcosm and patent trolls, right? It does not yet make Crouch’s job irrelevant. This is a really, sweet design. The display bezel is only a quarter of an inch thick. This is as close to a real “edge-to-edge” display than I’ve ever seen. The 13.3 inch display itself is also sweet. It’s a 3,200×1,800 touchscreen. For those playing along at home that’s 280 pixels per inch. That’s 40 more than my prized 2015 Chromebook Pixel and 60 more than a MacBook Pro with Retina. The display is powered by Intel’s Iris 540 GPU. It looks, in a word, great. At 13.3 inches, the screen is a bit small for my taste, but I’m not complaining. We talk a lot about why people should switch to linux. It got me thinking about why, after 10 years, am I still using linux and how the reasons are so different from why we tell people to switch. Now this Chrome OS is a straightaway competition for Microsoft Windows PC. The primary user interface is Linux and the Chrome browser. It is dependent on the internet web based applications. So you won’t have to store anything locally on the hard drive of the device. Google recently updated the Chrome OS for supporting the Google Play station in September. It enables users to download and install the Android apps along with native Chrome apps. Just the other day, Lenovo made it official: a Chrome OS version of the Lenovo Yoga Book is coming in 2017. What Jeff Meredith said in addition to that confirmations is just as interesting, though. The PCI subsystem updates for the Linux 4.10 merge window were sent in a few days ago. Takashi Iwai submitted all of the sound driver updates on Wednesday for the Linux 4.10 kernel. Intel Skylake audio continues to be refined but there is also a lot of other hardware driver work. Today, December 18, 2016, Linux kernel maintainer Jiri Slaby announced the release of the sixth-ninth maintenance update of the long-term supported Linux 3.12 kernel series, which will be maintained until 2017. The Linux 3.12 kernel branch was supposed to reach end-of-life in spring this year, but it’s used in the SUSE Linux Enterprise (SLE) 12 Service Pack 1 (SP1) operating system, which is supported with security and software updates until 2017. As such, Jiri Slaby decided to move the EOL status of Linux kernel 3.12 to 2017 too, and the latest release, Linux kernel 3.12.69 LTS, changes a total of 48 files, with 414 insertions and 162 deletions. Since the release of the publicly available Linux-version of PVS-Studio, it was just a matter of time until we would recheck the Linux kernel. It is quite a challenge for any static code analyzer to check a project written by professionals from all around the world, used by people in various fields, which is regularly checked and tested by different tools. So, what errors did we manage to find in such conditions? A few days ago I wrote about HID improvements for Microsoft’s Surface 3/4 tablets coming with Linux 4.10 while now there is additional driver work landing to benefit the Microsoft Surface 3 2-in-1 computer. The subject of remote Wayland displays with hardware-acceleration is again back to being talked about, this time initiated by the developer of VirtualGL. VirtualGL is one of the open-source projects working on remote Linux display support with the ability to run OpenGL applications with full 3D hardware acceleration via a GLX interposer and a high-speed X proxy. The lead developer of VirtualGL is wanting to go beyond just supporting X11 but also to handling Wayland/Weston. In recent days there have been a few Phoronix readers inquiring why I am not testing with my Radeon R9 290 graphics card in all our frequent comparisons and driver benchmarks. The short story is that the regression since Linux 4.7 remains and for my Radeon R9 290 and others with select Hawaii graphics cards, there still is a performance regression. Though over Christmas I hope to finally find the time to bisect it. So for those wondering but haven’t asked why the R9 290 hasn’t been used, it’s since there is still that pesky regression… While there was a fix for some, my HIS Radeon R9 290 and that of other select users still are having issues, likely due to differing video BIOS. AMD, meanwhile, reportedly hasn’t been able to reproduce this issue with their hardware. With 2016 soon drawing to an end, it’s time for all of my year-end recaps now of Linux drivers that I have been doing for the past 12 years. Today are benchmarks of a wide assortment of AMD graphics cards on both R600g and RadeonSI Gallium3D drivers when using Mesa 13.1-dev + LLVM 4.0 SVN and the Linux 4.9 kernel for providing a bleeding-edge look at the open-source AMD Linux graphics performance across hardware going from the Radeon HD 4890 series all the way up through the RX 480 and R9 Fury hardware. Here’s a fun look at the OpenGL driver performance across this range of GPUs. So there are a couple of handy desktop widgets that are available for your Linux desktop. Today we’ll take a look at a few Clock and Weather widgets that easily set up on your Linux desktop. Lubomir Rintel, one of the developers working on the widely-used open-source network management solution for GNU/Linux distributions NetworkManager, announced the release of NetworkManager 1.4.4. NetworkManager 1.4.4 is the latest stable and most advanced build of the software, which should be used by all Linux-based operating systems that prefer this graphical solution for helping users to easily connect to Wi-Fi and wired networks, as well as Point To Point Protocol over Ethernet (PPPoE) or VPN (Virtual Private Network) connections. Towards the end of 2016 we made a short introduction to network monitoring and we told you about the main characteristics to keep in mind when selecting a network monitoring tool. This was meant for users whose installation couldn’t conform with standard syslog monitoring or standard bandwidths. Desktop search is a software application which searches the contents of computer files, rather than searching the internet. The purpose of this software is to enable the user to locate information on their computer that they just cannot seem to find. Typically, this data includes emails, chat logs, documents, contact lists, graphics files, as well as multimedia files including video and audio. 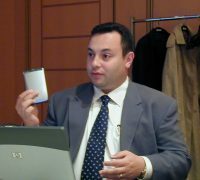 Searching a hard disk can be slow, especially bearing in mind the large storage capacities of modern hard disks. To ensure considerably better performance, desktop search engines build and maintain an index database. Populating this database is a system intensive activity. Consequently, desktop search engines can carry out indexing when the computer is not being used. One of the key benefits of this type of software is that it allows the user to locate data stored on their hard disk almost instantaneously. They are designed to be fast. They are not integrated with a different application, such as a file manager. In this article, I will attempt to convince you that Expect is an extremely underappreciated tool for automating terminal applications in Unix. Why do I feel so strongly about this? Well, if you’re like me you know that the best way to make a great impression at a party is to boast about your excellent understanding of the Unix command-line. However, if you really want to be the life of the party, you not only need to show that you know the commands, you must also demonstrate that you can automate everything. Adobe has just released the first final Adobe Flash Player stable release, Flash Player 24, for GNU/Linux in years. The company announced back in September 2016 that it would bring back Flash for Linux from the dead. This came as a surprise as it had ignored Linux for the most part when it comes to Flash. After years of neglecting to do so, Adobe has now released Flash Player 24 for GNU/Linux. Now Windows, Mac and Linux are being offered the same version of Flash Player for the first time in ages. But considering Flash is already dying a slow and painful death, this might be too little too late. issue #59: Kernel 4.9, Java, containerd, sfb, Redis, CentOS 7.3, Nginx, Ansible & more! It’s sad that DOOM hasn’t seen a native Linux port with id Software having a falling out with Linux in recent years, particularly after they were acquired by ZeniMax. But fortunately there is now a patch for being able to run DOOM with Wine. The second Release Candidate (RC) build of the upcoming major Wine 2.0 open-source implementation of Microsoft Windows on Unix-like operating systems arrived for testing. Wine 2.0 RC2 comes only one week after the release of the first RC build, and it looks like it’s here to patch even more of the remaining blockers before the final version hits the streets, which might happen just in time for the Christmas holidays if we’re lucky. If not, it will hit the streets in early 2017, as the project is now in code freeze. PlayOnLinux is a piece of software which allows you to easily install and use numerous apps and games designed to run with Microsoft Windows. Few apps and games are compatible with GNU/Linux at the moment and it certainly is a factor preventing the migration to this system. PlayOnLinux brings a cost-free, accessible and efficient solution to this problem. This is the 404th issue of the World Wine News publication. Its main goal is to inform you of what’s going on around Wine. Wine is an open source implementation of the Windows API on top of X and Unix. Think of it as a Windows compatibility layer. Wine does not require Microsoft Windows, as it is a completely alternative implementation consisting of 100% Microsoft-free code, but it can optionally use native system DLLs if they are available. Not long after requesting Linux testers for Orwell [Steam, Official Site], the surveillance simulation game, it’s now officially available on Linux. In addition to big end-of-year AMD Radeon Linux benchmarks and the forthcoming NVIDIA data points among other interesting EOY comparisons, there is also ongoing fresh Intel Linux benchmarks as we end out 2016. For your viewing pleasure today are the latest Intel OpenGL vs. Vulkan Linux benchmark results using last week’s Dota 2 7.00 game release. Last week were some fresh AMD Dota 2 benchmarks while here are the numbers from Dota 2 with Intel Skylake HD Graphics 530 as of this weekend. Testing was done with the Linux 4.9 kernel and Mesa 13.1-devel as of this past week from the Padoka PPA on Ubuntu 16.10. While the CryENGINE 5.x game engine is supported on Linux, to date their sandbox editor isn’t compatible with Linux but it looks like eventually there could be said support. Political Animals Launches Linux version! We’re happy to finally be able to release the game on Linux! Thanks so much to the folks on r/linux_gaming/ for their help in testing the game on multiple distros. We hope you enjoy the game. There are a few known issues with Linux which we have shared in our community page. Please let us know if you find any issues and we’ll do our best to sort them out. One of the strong advantages of Linux over Windows or Mac is freedom. You find freedom in every corner of the Linux operating systems. You have freedom of choosing one out of hundreds of distros. Most new users of Linux are introduced to either Ubuntu or Mint. This helps in reducing the choices users have in terms of the number of distros. But here, we have one more choice to make within the distro itself. As you are already guessing, It is the DE (Desktop Environment). There are two noteworthy pieces of KDE news as the weekend comes to an end. First up, KDE developer Ragnar Thomsen has shifted his focus from systemd-kcm as the KDE configuration module for managing systemd into its own application: SystemdGenie. SystemdGenie is systemd-kcm turned into its own full-fledged Qt application. With morphing it into its own application, SystemdGenie offers more functionality and more UI options than being a KDE KCM module. In the past three weeks, the openSUSE community KDE team has been pretty busy to package the latest release of Applications from KDE, 16.12. It was a pretty large task, due to the number of programs involved, and the fact that several monolithic projects were split (in particular KDE PIM). This post goes through what we did, and how we improved our packaging workflow. GoboLinux developer Lucas Correia Villa Real has had the great pleasure of announcing the release of the final GoboLinux 016 operating system, an independently-developed GNU/Linux distribution that uses a custom file system hierarchy. Polish developer Zbigniew Konojacki, the creator of the independently-developed 4MLinux computer operating system, informed Softpedia today about the release of 4MRecover 21.0 Beta. Based on the upcoming 4MLinux 21.0 distribution, which should be out in spring 2017, this Beta release of the 4MRecover 21.0 Live CD ships with the latest TestDisk 7.0 and QPhotoRec 7.0 software, which can be used for recovering lost partitions or photos from damaged disk drives or SD cards of all types and sizes. The developers of the openSUSE-based GeckoLinux computer operating system have announced the release of a new set of respined live ISO images of their GNU/Linux distribution, which is now rebased on openSUSE Leap 42.2. It is Chrismas time and I have got cookie cutters by openSUSE and ownCloud. What can you create as a happy Working Student at ownCloud and an openSUSE Contributor? Fedora 25 Workstation runs beautifully on the new Kaby Lake Dell XPS 13 ultrabook. And since Fedora ships with an up-to-date kernel, everything works out of the box. The development team behind the Debian-based SparkyLinux GNU/Linux distribution announced today, December 18, 2016, the release and general availability of a new ISO respin, versioned 4.5.2. Canonical’s Sergio Schvezov had the great pleasure of announcing the release of Snapcraft 2.24, the latest stable version of the tool application developers can use for packaging their apps as Snaps, a universal binary format for Linux OSes. The good news is that the problems have been patched. So, now that you’re almost done reading this, patch your system already. The bad news is there still aren’t enough eyes looking at older open-source code for overlooked security vulnerabilities. Canonical’s Michael Vogt happily announced the release of the Snapd 2.20 stable build of the Snappy daemon used on Ubuntu Linux operating systems for providing out-of-the-box support for installing and running Snap universal packages. Snapd 2.20 was released on the same day with Snapcraft 2.24, the tool app developers can use to package their applications as Snaps for cross-distro distribution. Snapd 2.20 is an important milestone that, for the first time, introduced support for the Ubuntu 14.04 LTS (Trusty Tahr) operating system. It’s also available in the repositories of Ubuntu 16.04 LTS (Xenial Xerus) and Ubuntu 16.10 (Yakkety Yak). Hate missing desktop notifications on Ubuntu? Well, with the Recent Notifications indicator you don’t need to. This handy tool collects and collates all desktop notifications you receive, regardless of whether you see them or not. Then, with one click, you can see and action them. New Unity 8 desktop mock-ups shared by the Canonical design team show an interesting new approach to presenting Scopes to desktop users. It is now possible to upgrade the Cinnamon and MATE editions of Linux Mint 18 to version 18.1. If you’ve been waiting for this I’d like to thank you for your patience. After announcing the final release of the highly anticipated Linux Mint 18.1 “Serena” operating system, which shipped with Cinnamon and MATE editions, project leader Clement Lefebvre published an in-depth tutorial on how to upgrade from Linux Mint 18. As expected, the release of Linux Mint 18.1 also opened the upgrade path for those who are currently using the Linux Mint 18 “Sarah” operating system on their personal computer, allowing them to upgrade to the latest release without to much hassle. But first, the developer urges users to think twice before attempting an upgrade. You’ve heard of smartphones but have you heard of smart projectors? They’ve actually been around for a few years and are sort of like a TV set top box and projector combined, leaving no need for a TV. Features can include things like streaming Netflix, browsing in Chrome, and Skyping. However, they can cost from a few hundred to over a thousand dollars. [Novaspirit] instead made his own cheap smart projector. He first got a $70 portable projector (800×480 native resolution, decent for that price) and opened it up. He soldered an old USB hub that he already had to a Raspberry Pi Zero so that he could plug in a WiFi dongle and a dongle for a Bluetooth keyboard. That all went into the projector. A Raspberry Pi 3 running Kali Linux in a 3D printed enclosure to disguise it as as a (somewhat chunky) makeup palette. Many outsiders probably think that in the world of science and HPC (high performance computing) there’s only room for supercomputers and the magicians who operate them. Bringing together a group of technical specialists and researchers to solve the conundrums of how to efficiently use cloud computing technology for workloads, the RCUK Cloud Working Group recently held its second annual workshop in London. The event is an amazing opportunity to bridge the gap between the magicians of science and the magicians of technology to produce better and more efficient solutions by sharing expertise. Pushing the boundaries of OpenStack – Wait, what are they again? As a Production Support engineer for many years, I love providing operational support for front- and back-end systems. That love of operations drives me to share knowledge on how you can push the boundaries of OpenStack. To do that, you must first know the boundaries. Enterprises today must keep up with increasing internal and external customer demand, or die trying. When you start to get out of the Windows ecosystem, the very first thing you see is macOS. But, chances are less that you may go for it, mostly because of the price tag. Moving further, you come across Linux flaunting its open source badge. Most people confuse Linux as an operating system and it has been a topic of controversy for a long time. Thus, some people refer a Linux operating system as GNU/Linux. Soon, you start realizing how diverse is the Linux ecosystem with numerous Linux distributions and their derivatives. You almost believe that Linux and its family is the representative of the open source community. But there is a lesser-known family of operating systems known as the BSD (Berkeley Software Distribution), which also counts as one of the major names in the open source community. During last month’s SuperComputing 2016 conference in Salt Lake City was the LLVM Compiler Infrastructure in HPC workshop being hosted for its third year. The slides from that event were recently made available and one of the talks interesting me the most was about the state of Clang OpenMP offloading, including for GPUs. There is an early GNU Christmas with the release of GNU Hurd 0.9 joined by GNU Mach 1.8. Yep, another rare released update to Hurd. GNU Hurd 0.9 supports its boot program running as an unprivileged user, an Ethernet multiplexer has been merged to support better virtual interfaces, the addition of the Berkeley Packet Filter (BPF) library, and many bug fixes. GNU Mach meanwhile as the microkernel upon which GNU Hurd systems are based, has seen many changes with version 1.8. Mach 1.8 has significantly reworked its memory management system, the virtual memory system now uses a red-black tree for allocations, and improved debugging / error reporting. There are also many bug fixes in Mach and GNU Mach has dropped its partial ACPI support. The public sector tends to lag—some would say drag—behind the private sector when it comes to adopting new technologies. This is also true when it comes to adopting free software: Although companies widely see free technologies as a boon, government organizations often are still locked into proprietary software and work with closed standards. That said, some countries are making progress moving toward open source technologies. Earlier this year, the Montreal Neurological Institute announced an ambitious – and, in many ways, unprecedented – commitment to the principles of open science. The Neuro will be eschewing patents for its discoveries and doing all it can to make its research findings – and all the data associated with that research – widely available. While there have been other large-scale open science initiatives – usually involving several partners collaborating in a specific area – the Neuro is the first major research institute of its kind to make such a wide-ranging commitment to open science. The Neurological Institute at Montreal’s McGill University is host to the “Tanenbaum Open Science Institute,” endowed by a $20M contribution; since last spring, the unit has pursued an ambitious open science agenda that includes open access publication of all research data and findings, and an end to the practice of patenting the university’s findings. Instead, they will all be patent-free and usable by anyone. The opening ceremony at the 2016 Paralympic Games in Rio featured snowboarder Amy Purdy wearing a 3D printed dress, wearing prosthetics printed from the same material as the dress, and dancing with a Kuka robotic arm. The dance was a statement about the merging of the human spirit and technology. “The backstory, which mainstream media passed over, was the critical role open source software played in the making of the dress: it was created using Blender and Python. The current cartridges were running low for a while, but I didn’t need to change them yet. As I printed a user manual at the beginning of the week (~300+ pages in total), I ran out of the black half-way through. Bought a new cartridge, installed it, and the first strange thing was that it still showed “Black empty – please replace”. I powered the printer off and turned it on again (the miracle cure for all IT-related things), and things seemed OK, so I restarted printing. However, this time, the printer was going through 20-30 pages, and then was getting stuck in “Printing document” with green led blinking. Waited for 20 minutes, nothing. So cancel the job (from the printer), restart printing, all fine. The next day I wanted to print a single page, and didn’t manage to. Checked that the PDF is normal, checked an older PDF which I printed successfully before, nothing worked. Changed drivers, unseated & re-seated the extra memory, changed operating systems, nothing. Not even the built-in printer diagnostic pages were printing. The internet was all over with “HP formatter issues”; apparently some HP printers had “green” (i.e. low-quality) soldering, and were failing after a while. But people were complaining about 1-2-4 years, not 9 that my printer worked, and it was very suspicious that all troubles started after my cartridge replacement. Or, more likely, due to the recent sudden increase in printing. I now have my first dead NVM Express SSD and it only lasted one week… It’s already time to RMA the Samsung 960 EVO and unfortunately lost a number of benchmarks that I was working on this weekend. Unsafe levels of a paint thinner chemical have been discovered in batches of gravy from Lidl. The discount supermarket has recalled two batches of Kania Gravy Granules after they were found to be contaminated with xylene, which occurs naturally in petroleum and crude oil, the Food Standards Agency (FSA) said. Exposure to the “harmful” chemical poses a health risk, causing irritation of the mouth, throat, nose and lungs and in severe cases leading to heart problems, liver and kidney damage and coma, according to Public Health England. An alert posted on the FSA website said: “Exposure to xylene in food products represents a health risk as it can cause adverse effects such as headache, dizziness, nausea and vomiting. Unsafe levels of a paint thinner chemical have been found in gravy granules sold at Lidl, the Food Standards Agency (FSA) has revealed. The contamination affected two batches of Kania Gravy Granules, which were found to contain xylene. The Oklahoma Legislature has outdone itself this time. In the latest of their absurd and callous efforts to shame and stigmatize women, Oklahoma legislators from both parties have passed into law a requirement that commands thousands of private businesses to turn their bathroom walls into billboards for anti-abortion propaganda. As part of a misguided effort to reduce the number of abortions in Oklahoma, Rep. Ann Coody and Sen. AJ Griffin introduced HB 2797 — the “Humanity of the Unborn Child Act.” Among other troubling provisions, the new law requires public schools, hospitals, restaurants, and nursing homes to post signs in their restrooms directing women to services aimed at discouraging abortion. Can sub-Saharan Africa produce enough food to meet growing demand? Each year, the planet has to feed more hungry, hungry humans. Right now, projections suggest that we might just be able to meet the challenge of feeding our growing population in 2050, but only if we make better use of the land that we use for agriculture. For sub-Saharan Africa (SSA), though, the question gets a little more complicated. Even if there’s enough food globally to go around by 2050, will SSA be able to produce enough to be self-sufficient? A paper in this week’s PNAS suggests that the region might be stuck relying on imports unless it massively expands its croplands. This would be bad news for the environment, and it wouldn’t be easy. Every region on Earth relies on food imports to some extent, but importing large amounts of food is only really feasible in countries that are economically developed. For developing countries, affording large quantities of food imports can stifle economic development. Right now, SSA produces around 80 percent of the staple grains that it needs. By contrast, North and South America, Europe, and Australia all produce well above 100 percent of their own needs. And the population of SSA is projected to increase more than that of other regions. One of the questions we often get when we talk about Sysdig Falco is “How does it compare to other tools like SELinux, AppArmor, Auditd, etc. that also have security policies?” To help answer some of those questions, we thought we’d present a summary of other related security products and how they compare to Sysdig Falco. Seeing that I was planning on carrying my long-term private keys around on my telephone (BlackBerry PRIV, FDE encryption active FWIW), I had to double-check the security of the secret key encryption. It turns out that PGP encrypts each of your secret keys with a hash of the passphrase you supply. My passphrase is significantly longer than the average, and consists of random characters (uppercase, lowercase, numbers, symbols). Passphrase length and complexity is by far the most important factor determining the safety of your encrypted secret key. A system running Intel’s McAfee VirusScan Enterprise for Linux can be compromised by remote attackers due to a number of security vulnerabilities. Some of these vulnerabilities can be chained together to allow remote code execution as root. No 400-pound hacker here: Lightbulb and ‘do-gooder’ worms, machines replacing humans to hack other machines, and high-speed car hacking were among the most innovative white-hat hacks this year. In a year when ransomware became the new malware and cyber espionage became a powerful political propaganda tool for Russia, it’s easy to forget that not all hacking in 2016 was so ugly and destructive. Sure, cybercrime and cyber espionage this past year turned the corner into more manipulative and painful territory for victims. But 2016 also had its share of game-changing “good” hacks by security researchers, with some creative yet unsettling ways to break the already thin-to-no defenses of Internet of Things things, as well as crack locked-down computers and hijack computer mice. Hackers even took a back seat to machines in the first-ever machine-on-machine hacking contest this summer at DEF CON. John Pilger’s tremendous new documentary The Coming War With China explains Chinese motivations. China is ringed by 200 US military bases and installations, far from any State of the USA, in an unabashed display of American Imperial power. China by contrast has very few military outposts outside China at all and shows remarkably little interest in territorial ambition, given China’s current economic power. The stories of US exploitation and duplicity recounted in the Pilger documentary are overwhelming, and of course the entire venture is a massive transfer of money from struggling US taxpayers to the arms industry. One is left with a feeling of surprise that the Chinese reaction to naked US threat is so calm and not paranoid. Fears that President-elect Donald Trump’s questioning of the “one China” policy and recent phone conversation with Taiwanese President Tsai Ing-Wen would amplify military tensions with China were seemingly confirmed on Thursday after an editorial in the government mouthpiece, The Global Times, called for “use of force” to deter Taiwanese independence. “Time will tell after Trump’s team takes over the U.S., whether it will willfully utilize the one-China policy as leverage to blackmail Beijing or restrain itself in actual practice,” the editorial stated, referring to the diplomatic agreement that allows “the U.S. to do business with both China and Taiwan while only recognizing Beijing,” the Guardian explains. Underscoring the threat, the Chinese navy announced late Thursday that it had, on an “undisclosed date,” carried out large-scale war exercises, using live ammunition, with the nation’s first aircraft carrier. Mainstream TV news anchors including MSNBC’s Chris Hayes are reporting as fact—with fuming indignation—that Russia (and specifically Vladimir Putin) not only sought to influence the U.S. election (and—gosh!—promote “doubt” about the whole legitimacy of the U.S. electoral system) but to throw the vote to Donald Trump. Fidel Castro, who died November 25 at age 90, will be remembered as someone whose work changed, not just Cuba, but the wider world. With US media ringing with denunciation—with some left over to denunciate those who aren’t denunciating enough—there’s little oxygen left for discussion of that work, and what it meant and still means. We’re joined now for some context on Castro and Cuba by Louis Pérez. He’s professor of history at the University of North Carolina and editor of Cuban Journal, and author of, among other titles, Cuba: Between Reform and Revolution. He joins us now by phone from North Carolina. Diplomatic sources said that the United States main intelligence service, the CIA, had apologised to Turkey in a written statement for making “false claims” about alleged oil trading between Turkey and Daesh, Turkish newspaper Daily Sabah reported yesterday. The Turkish newspaper said that high-level Turkish diplomatic sources said that the CIA and the US Secretary of State John Kerry had apologised to Turkey following a report provided by the Turkish intelligence service which proved that the US claims were wrong in early 2015. According to Daily Sabaha, Turkish National Intelligence Agency (MIT) officials revealed that the geographic locations in the document that allegedly showed where Daesh’s oil trade was conducted in Turkey in fact showed an asphalt plant in Kilis in southeast Turkey. Following the MIT investigation of the CIA’s documents, the CIA apologised for the mistaken allegations at the end of 2015. “We have seen no evidence to support such an accusation. Turkey plays a vital role in the counter-ISIL coalition,” a statement by the CIA said, using another acronym for Daesh. With the election of Donald Trump, the management of America’s public lands could shift, altering the landscape in southern Utah and across the Western United States. Extractive projects like the Coal Hollow expansion that have stalled or been rejected under the Obama administration could be given new life. They include drilling in the Arctic, in the North Atlantic, in the forests of Colorado, and around Glacier National Park; uranium mining at the edges of the Grand Canyon; and ramped-up logging in the national forests of the Pacific Northwest. The federal government—we, the taxpayers—owns some 640 million acres, and about half of the land in Western states. Those lands are the source of roughly 20 percent of the oil and gas produced in the United States, and 40 percent of coal. Once burned, fossil fuels extracted from public lands account for more than a fifth of America’s greenhouse-gas emissions. Given the amount of carbon still locked in public ground—between 319 and 450 gigatons of potential carbon dioxide, according to a 2015 analysis by Ecoshift Consulting, more than half of the entire world’s carbon budget—increased development there has implications not only for local ecosystems and communities but also for the entire planet. Breitbart makes much of the fact that El Niño, a cyclic Pacific Ocean weather phenomenon, has contributed to record temperatures this year and last year—as though the observation that El Niño years are warmer than usual were not a reality understood and acknowledged by every climate scientist. These people don’t have any independent expertise in climate science; Smith is a lawyer, Walker has a master’s in political science and Shank’s degree is in aerospace engineering. If they’re getting their information about climate disruption from sites like Breitbart, a fraudulent degree from Trump University would probably be a better education. The struggle of the Standing Rock Sioux against the completion of the Dakota Access Pipeline rivets the attention of people around the world, not only as an environmental story, an emblem of what the fight to address climate change actually looks like, but also as a historic story, a chapter in the resistance of indigenous people to the violent power of state and corporate actors. The announcement that the Army Corps of Engineers would withhold an easement permit for the last part of the Dakota Access Pipeline, pending an environmental impact study, is a significant moment that should nonetheless not be mistaken for the end of either that environmental or that historical story. One of the biggest protests of 2016 is still underway at the Standing Rock Sioux Reservation in North Dakota, where Water Protectors and their allies are fighting Energy Transfer Partners’ plans to drill beneath contested Treaty land to finish the Dakota Access Pipeline. While the world has been watching law enforcement’s growing use of force to disrupt the protests, EFF has been tracking the effects of its surveillance technologies on water protectors’ communications and movement. Following several reports of potentially unlawful surveillance, EFF sent technologists and lawyers to North Dakota to investigate. We collected anecdotal evidence from water protectors about suspicious cell phone behavior, including uncharacteristically fast battery drainage, applications freezing, and phones crashing completely. Some water protectors also saw suspicious login attempts to their Google accounts from IP addresses originating from North Dakota’s Information & Technology Department. On social media, many reported Facebook posts and messenger threads disappearing, as well as Facebook Live uploads failing to upload or, once uploaded, disappearing completely. The embattled Wells Fargo Bank, famously accused of signing up its customers to multiple accounts without their knowledge, was discovered last week to be doing the same thing with a life insurance product sold in their branches by Prudential. This could prove even more damaging than the original fake account scandal, as bankers are not allowed to sell insurance, much less secretly sign people up for it. Then on Tuesday, the bank was suspended from doing any work for the city of San Francisco, its home town. Plus, Wells was the only U.S. bank to have their “living will” — a government-mandated roadmap for how to dismantle the firm in the event of a failure — rejected by federal regulators. This is the third time since 2014 Wells Fargo had its living will denied as not credible, and for the first time, that will lead to sanctions: The Federal Deposit Insurance Corporation and the Federal Reserve announced they will prohibit Wells Fargo from establishing any international subsidiaries or purchasing any nonbank companies. It was an explosive allegation. Naked short sales are when you sell a stock you don’t have. That’s illegal most of the time, for obvious reasons. DiIorio found evidence that KCG had illegally conducted nearly two billion dollars’ worth of them. 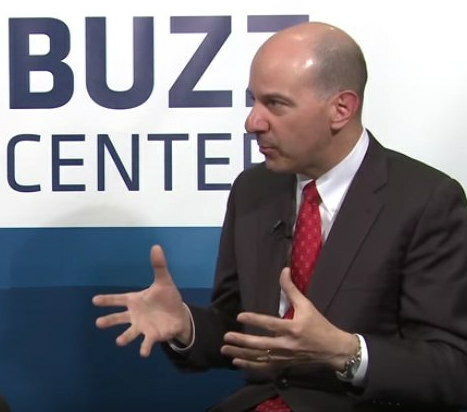 It was a bit of a mystery story, with two unanswered questions at the end: Was DiIorio right? And if so, why hadn’t any regulatory authority done anything about it? One regulatory authority finally has, and its action would seem to confirm DiIorio’s suspicions. But his transition team doesn’t reflect that perspective. Veronica Birkenstock, who runs a recruitment firm that secures visas for cheap temporary foreign workers, was named to Trump’s Department of Labor landing team — before being mysteriously disappeared after The Intercept reported on it. Next, the Trump team chose fast food executive Andy Puzder — an outspoken proponent of legalizing undocumented workers so they can provide cheap, low-skilled labor — to be the administration’s Labor Secretary. While many Americans are facing a “frightening retirement reality,” 100 CEOs are looking at “colossal nest eggs” and can look forward to monthly retirement checks of over $250,000 for the rest of their lives. In fact, these 100 CEOs have retirement funds that total $4.7 billion. That’s as much as the retirement savings of the 41 percent of U.S. families with the smallest nest eggs—that’s 116 million people. The report also notes that 37 percent of U.S. families have no retirement wealth at all. Are we stuck with inequality? The latesT study of deepening inequality by three of the most careful scholars of the subject, Thomas Piketty, Emmanuel Saens, and Gabriel Zucman, has prompted another round of shrugs from economists that inequality is just in the nature of the advanced economy. Supposedly, these inexorable trends reflect technology, globalization, and increasing rewards to more advanced skills. The poor are paid in correct proportion to their contribution to the national product, which, alas, isn’t much. A close look at political history suggests that this widespread inference is convenient nonsense — convenient to economic elites. In fact, the distribution of income and wealth has bounced around a lot in the past century and a half. It was extreme in the first Gilded Age of the late 19th century, a little less so in the Progressive Era, extreme again in the 1920s, and remarkably egalitarian in the period between the New Deal and the early 1970s — and now extreme again. The Government has moved to pre-empt the expected publication of the full EU Commission ruling on the controversial €13 billion Apple tax case . In a statement early today, it said the commission had misinterpreted Ireland’s tax laws and wrongly ruled that profits not attributable to activity in Ireland should have been taxed here. The commission has found that Ireland deliberately decided to forego tax due from the US multinational over many years by giving it favourable tax treatment. But the Government says the commission has misinterpreted Ireland’s tax laws. Apple (AAPL.O) has launched a legal challenge to a record $14 billion EU tax demand, arguing that EU regulators ignored tax experts and corporate law and deliberately picked a method to maximize the penalty, senior executives said. Apple’s combative stand underlines its anger with the European Commission, which said on Aug. 30 the company’s Irish tax deal was illegal state aid and ordered it to repay up to 13 billion euros ($13.8 billion) to Ireland, where Apple has its European headquarters. 02. WHY IS GROWTH DOWN? 09. WHAT IS CAUSING ECONOMIC DETERIORATION? This week on CounterSpin: More Trump appointments mean more work cut out for public interest advocates. There’s no need to pick which is most worrisome, but a strong contender would be making Rex Tillerson, longtime CEO of Exxon Mobil, secretary of State. We’ll hear about Tillerson from Zorka Milin, senior legal adviser at Global Witness. Now that some of Donald Trump’s choices for important positions in his administration have been made, it is time to examine the reasons for some of those appointments. An early appointment was that of General Michael Flynn as National Security Advisor. He was selected for two reasons: his tenuous relationship with the truth, as shown by his promulgation of fake news over the years, a trait admired by Mr. Trump; and his former status as a general. Michigan officials declared in late November that Trump won the state’s count by 10,704 votes. But hold on — a record 75,355 ballots were not counted. The uncounted ballots came mostly from Detroit and Flint, majority-Black cities that vote Democratic. According to the machines that read their ballots, these voters waited in line, sometimes for hours, yet did not choose a president. Really? “Yes, You Can Blame Millennials for Hillary Clinton’s Loss” was the headline over a piece by the Post‘s Aaron Blake (12/2/16). “Clinton campaign manager Robby Mook said Thursday that one particular group is especially to blame: Millennials.” Blake quoted another Post story citing Mook’s claim that “younger voters, perhaps assuming that Clinton was going to win, migrated to third-party candidates in the final days of the race.” “That’s why we lost,” Mook said. Whoa, wait—”Clinton’s 55–36 margin among those ages 18 to 29″? Yep, Clinton won among voters under 30—the Millennials, basically—by 19 percentage points. Blake doesn’t spell it out, but this is the age group that delivered by far the biggest margin for Clinton. The next-best cohort for Clinton was those aged 39–44, who picked her by a 10-point margin. This is in sharp contrast to the 45–64 and 65+ age groups, who voted for Trump by margins of 8 and 7 percentage points, respectively. So who do we blame for Trump—the age group that voted for Clinton by the widest margin, or the ones that voted for Trump? If you’re the Washington Post, the biggest Clinton backers are responsible for Trump, naturally. You can play the same statistical games with race, by the way. For example, exit polls suggest that Trump did only 1 percentage point better than Romney among white voters, who went for Trump 58–37 percent. Among African-Americans, he only got 8 percent, but his losing margin was “only” 80 percentage points, as opposed to 87 points for Romney; Trump “overperformed” with black voters by 7 points. Five years ago, after the phone-hacking revelations, the House of Commons unanimously rejected Rupert Murdoch’s bid for 100% of Sky. A year later, Sky was only passed by Ofcom as being fit and proper to hold a communications licence on the basis that there was not full Murdoch ownership and control. Today, the Murdochs want to turn the view of parliament and the regulator on its head. But what’s really changed? Refusing to accept Republican lawmakers’ brazen power grab, hundreds of North Carolinians flooded the halls of the General Assembly building in Raleigh Thursday evening to shame the officials as they passed a series of measures aimed at stripping power from Governor-elect Roy Cooper. Twenty people, including one journalist, were reportedly arrested for disrupting the special session, during which the GOP-led legislature passed a number of bills that would limit the ability of the incoming Democratic administration to make appointments and control elections. On CNN (12/2/16), anchor Carol Costello introduced a story about how Donald Trump is convening a panel of prominent CEOs to consult with on a monthly basis on issues including job growth and taxes. CNN reporter Christina Alesci reported excitedly that the panel, assembled by the Blackstone Group’s CEO Stephen Schwartzman, will be made up of a “who’s who” of “bipartisan CEOs,” including GM’s Mary Barra, Jamie Dimon of JP Morgan Chase, Disney‘s Bob Iger, Doug McMillon of Walmart and Jack Welch, former GE CEO. In the first half of the program, mathematician Rick Luttmann discusses ranked-choice voting and why it is superior to the prevalent “plurality voting” system. Also, investigative journalist Greg Palast returns to Project Censored to explain how GOP voter supression tactics may have helped manipulate the outcome of the 2016 presidential election (he calls it a “Jim Crow election”). In the second half of the program, two activists recently returned from Standing Rock describe the violence police there are inflicting on the water protectors and their allies. Nadya Tannous and Damanjit Singh also explain why the Standing Rock confrontation is an anti-colonial struggle. After this year’s election, EFF joined many election security researchers in calling for a recount of votes in three key states. This was partly because of evidence that hackers affected other parts of the election (not directly related to voting machines). But more than that, it was based long-standing research showing that electronic voting machines and optical scanners are subject to errors and manipulation that could sway an election. In response to that call, Green Party candidate Jill Stein’s campaign raised more than $7 million to fund the recounts. Like millions of Americans, I am alarmed that Donald Trump will be the next president of the United States. While Barack Obama’s record as president is mixed, Trump has peddled hatred and suspicion, threatening to reverse everything positive that Obama has accomplished. But along with worrying about what is to come, I’ve been reflecting on some past elections that were also shocking or wrong, elections that brought great harm — but not quite the end of civilization as we know it. The chances are that’s what will happen this time too. Jill Stein and a handful of voters might succeed in forcing a recount that would make Hillary Clinton the next President of the United States. I say that on the basis of my experience testifying before the Florida Legislature’s Select Joint Committee on the Manner of Appointment of Presidential Electors in the 2000 Florida recount. I had been asked by Committee to provide advice on whether the many lawsuits filed by Democrats around the state could come to a conclusion in time for the Electoral College’s meeting and vote on December 18, 2000. If the lawsuits could not be timely concluded, a serious risk existed that Florida’s 25 electoral votes would not be counted. That would leave George w. Bush with just 246 electoral votes to Al Gore’s 266. The Committee asked for my view because I had handled hundreds of lawsuits, including many that involved expedited matters. When the Constitution was written, some signers wanted direct election of the president. Others wanted state legislatures or Congress to choose the executive. The Electoral College was the end result: Each state got a slate of electors numbering the same as its delegation in Congress. Electors vote, with rare exception, for whichever candidate won the most votes in their state — effectively meaning the presidential election is 51 separate popular votes. Yes, Trump can lose the Electoral College — but then what? The Electoral College has remained a topic of hot conversation since Nov. 8. There has been much discussion about faithless electors abandoning their traditional role, Hamilton Electors and what happened in the past when electors have been thrown out during ballot counting by the House and Senate, such as in 1872, when Louisiana and Arkansas’ electors were thrown out. How could this happen again? Leaked documents show Donald Trump’s appointed secretary of state was a director of a Bahamas-based US-Russian oil company. Rex Tillerson, whose suitability for the top government position was already under question due to his potential conflicts of interest with the energy industry and his ties to Russia, is now revealed to have been the former director of ExxonMobil’s Russian subsidiary. Mr Tillerson was named director of Exxon Neftegas in 1998. His name on company filings – RW Tillerson – appears next to other directors based in Texas, Moscow and in far eastern Russia. The company is incorporated in the Bahamas, thousands of miles away from their most important Russian Arctic exploration projects and where the corporation tax rate is zero. Vanity Fair has had the last laugh after President-elect Donald Trump blasted the magazine over a snooty review of one of his restaurants: its subscription numbers have broken a company record. “Has anyone looked at the really poor numbers of @VanityFair Magazine?” the incoming Republican commander-in-chief asked his 17.4 million followers on Twitter bright and early Thursday. “Way down, big trouble, dead! Graydon Carter, no talent, will be out!” he added for good measure in reference to the magazine’s editor, with whom he has a feud dating back decades. Only it seems that offending the 70-year-old billionaire real estate tycoon is good for business — at least in the news industry. Trump Promised To Help Tech Companies. What Does He Want in Return? Apple CEO Tim Cook, Alphabet CEO Larry Page, and 10 other technology company leaders trooped to Trump Tower in New York this week, where the President-elect told them they were “amazing” and said, “I’m here to make you folks do well.” He pledged to do “anything we can do to help.” We’re glad to hear it, and we have a few ideas for steps the new administration can take to fulfill that commitment. If Mr. Trump wants to help technology thrive, he should start by protecting users and innovation from policies and practices that threaten privacy, civil liberties, and a free Internet. Users are beset by overreaching digital collection and the tracking of personal information on all fronts. We exist in an era of unprecedented government invasions into our private lives, made easier by the digital devices we carry and the servers and cloud storage that hold information about every aspect of our lives—where we go, what we say, what we buy, and with whom who we associate. Many Democrats trusted President Obama with the vast surveillance powers inherited from President George W. Bush, but now the failure to curtail those powers means they pass on to Donald Trump, notes Nat Parry. EFF is excited to announce that today we are releasing Privacy Badger 2.0 for Chrome, Firefox, and Opera. Privacy Badger is a browser extension that automatically blocks hidden third-party trackers that would otherwise follow you around the web and spy on your browsing habits. Privacy Badger now has approximately 900,000 daily users and counting. One should understand why people have lost trust in experts, the media, and politicians. It is not difficult, it is the same reason people lost faith in Soviet Communism: Promises were made that turned out to be lies, those promises were not kept. Soviet Communism was supposed to lead to a cornucopia and a withering away of the state. Instead it lead to a police state and a huge drought of consumer goods, and often enough, even food. Communism failed to meet its core promises. If you’re planning to be asking questions like, “How do you approach different ethnicities and cultures in animation? Are you conscious of running the risk that some group could take offense?” or “Several of your movies have female protagonists. But they’re not looking for a prince,” you’d think that you’d try to get to get some kind of diversity in your panel of animation directors. Failing that, you might point out the monoculture in the room, and what it says about the animation business. If you have never been stopped and search by the police, you might not see how it can affect those who are systematically stopped and searched, sometimes several times a week, for no apparent reason. Even if you have nothing to be blamed for, it is humiliating and frustrating to be targeted, singled out very often, just because of your perceived race, ethnicity or religion, rather than on the basis of individual behaviour or objective evidence. With the tightened border controls over migration concerns and the threat of terrorism, the increased perception of use of ethnic profiling has been reported by anti-racism organisations across Europe. There is little doubt that white racism played a role in the U.S. presidential election of 2016. As Zach Beauchamp demonstrates in a Nov. 10 article at Vox.com, enthusiastic support for Donald Trump – 10 on a scale of 10 – among white voters in mostly white geographic areas was about 25 percent. However, in areas of growing ethnic and racial diversity, the percentage of all-in Trump support goes way up. Beauchamp quotes the research of the University of London scholar Eric Kaufmann, who surveyed Trump’s white supporters. Kaufmann’s original findings are reported in the policy blog of the London School of Economics. One result was that in areas that had experienced a 30 percent rise in Latino population, the number of whites who enthusiastically supported Trump rose to 70 percent. This Monday, December 12, the ACLU will be joining Color of Change, 18 Million Rising, MomsRising.org, MoveOn, DRUM — Desis Rising Up and Moving, and others to deliver over 280,000 petition signatures calling on President Obama to repeal the special registration system targeting Muslim and Arab immigrants before Donald Trump takes office. Alabama cruelly and excessively violated the bounds of human decency last night when it knowingly inflicted torturous pain during Ronald Smith’s botched execution. And it should never have come to this. Ronald Smith’s jury had voted to spare his life, but the trial judge in the case overrode the jury’s verdict and sentenced him to death under Alabama’s outlier practice. A divided Supreme Court then denied Smith’s request to postpone his execution to review the issue of judicial override, and Alabama moved forward with his execution. The execution of Ronald Smith last night took far longer than it should have, 34 minutes, during which time his body heaved as he struggled. He was almost certainly awake when the prison administered the agonizing drugs, whose administration without sedation is an open and shut violation of the Eighth Amendment’s prohibition on cruel and unusual punishment. Sometimes the trucks arrive early. Sometimes they come with no notice at all. Sometimes, while workers from the California Department of Transportation make their way down the row of tents—seizing property and cherished belongings—people have mere seconds to grab everything they can. Then they stand and watch as their bedding, clothes, tools, bikes, medicine, food, and other things are tossed into a trash compactor and destroyed. I’ve heard this story countless times from homeless people in the Bay Area and beyond. My colleagues who work on issues of poverty and inequality have too. For decades, save a few years where good practices and policies were followed because of lawsuit settlements, the California Department of Transportation (Caltrans) and other government agencies in California have been conducting illegal sweeps of homeless encampments, cruelly and unconstitutionally seizing and destroying property. Television screens are filled with Christmas advertising, propagating the apparent need to buy something, and above all electronics, apparel, toys — the most popular Christmas gifts. The festive countdown is well underway. Three points specifically define the ‘festive’ season: advertisements and commercialisation, shopping and spending, and increased revenue for the Western economy. Data from Capgemini and new in the UK’s industry association for e-retail, the Interactive Media in Retail Group (IMRG), reveal that in 2015, British retailers took in over £24 billion (roughly $30 billion) during the Christmas period alone, more than the entire GDP of countries like Nepal or Honduras. This spending craze is linked with advertisement and the increasing consumerism promoted by mass-, and now social media. Today, Saturday 17th December, is Chelsea Manning’s 29th birthday. How will she mark the day? At Fort Leavenworth, the austere military prison in Kansas where she is serving out her 35-year sentence, time passes according to a strict and tedious regime: unlock, work detail, prisoner counts, security checks. There’s little scope for celebrations, and rules against “trafficking” mean other inmates are unlikely to be allowed to shower her with gifts. Post is probably as good as it gets, and one hopes the small desk in her cell is overflowing with cards and letters from friends and supporters. Letters might not seem like much but there’s one message, from one man, that could truly make her day. What, after all, would be a better birthday gift for an imprisoned whistle-blower than for Obama, presidential pen in hand, to sign off on her release? His previous positions include the following: Director of Al-Falah Islamic School in Oakville, Ontario from 2004 to 2011, Imam of Muslim Association of Calgary Islamic Center from 1998-2004 and as a member of the University of Calgary chaplaincy team. A Pakistani Muslim cleric who celebrated the murder of a popular politician is in Britain on a speaking tour of mosques. The news has alarmed social cohesion experts who fear such tours are promoting divisions in the Muslim community. Syed Muzaffar Shah Qadri has been banned from preaching in Pakistan because his sermons are considered too incendiary. However, he is due to visit a number of English mosques, in heavily promoted events where he is given star billing. When Rampei Wuantai and his wife, Angela, decided not to make their daughters undergo female genital mutilation, they were not prepared for the backlash. The family live on a small homestead surrounding by acacia trees in the village of Illmotiok, in Kenya’s Kajiado county. Though outlawed in 2011, FGM is still widely practised in the area. The Wuantais were the first to reject the tradition. “Our first motivation to go against this culture was religion. We are Christians and the Bible does not tell us to cut our girls,” says Rampei, 53, a pastor and driver. He and his wife have 10 children: four girls and six boys. In Kenya, chiefs work under the provincial administration and are in charge of locations and sub-locations, the smallest administrative areas. Their role is to maintain law and order; constitutionally, they have power to arrest anyone breaking the law in their jurisdiction. As Angela points out, however, some turn a blind eye to the continued practise of FGM. In Pakistan, five girls were killed for having fun. Then the story took an even darker twist. It was just a few seconds, a video clip of several young women laughing and clapping to music, dressed for a party or a wedding in orange headscarves and robes with floral patterns. Then a few more seconds of a young man dancing alone, apparently in the same room. The cellphone video was made six years ago, in a village deep in Kohistan, a rugged area of northwest Pakistan. It was the last time the young women, known only as Bazeegha, Sareen Jan, Begum Jan, Amina and Shaheen, have ever been definitively seen alive. What happened to them remains a mystery. Their fates have been shrouded by cultural taboos, official inertia, implacable resistance from elders and religious leaders suspected of ordering their deaths, and elaborate subterfuges by the families who reportedly carried out those orders. The Netherlands’ government moved swiftly Friday to prepare legislation clearing the way for Parliament to vote on ratifying an EU-Ukraine free trade pact, despite Dutch voters rejecting the deal in a non-binding referendum. Today, together with the Thomas Jefferson Center for the Protection of Freedom of Expression, EFF submitted an amicus brief in Lee v. Tam. Our brief discusses an unusual but important question: are registered trademarks government expression? It is important to get the dividing line between government and private speech correct. This is because, while the government doesn’t get to control what you say, it does get to control what it says. As we argue in our brief, categorizing registered trademarks as government expression would threaten speech in many other areas. The case involves a rock band from California called The Slants. The band, like Dykes on Bikes®, intentionally chose a name containing a slur to reappropriate the term. The band attempted to register its name as a trademark but United States Patent and Trademark Office (PTO) refused the registration. The PTO concluded that the mark was not eligible under a statute prohibiting registration of any marks that “disparage” people. The PTO did not care how The Slants, an Asian-American band, intended for its mark to be understood. Rather, the fact that the term, standing alone, could be a slur was sufficient for it to deny registration.